I LOVE PORK. Pork is the favourite meat in many parts of the world. In Latin America, China, and Germany-pork is king. 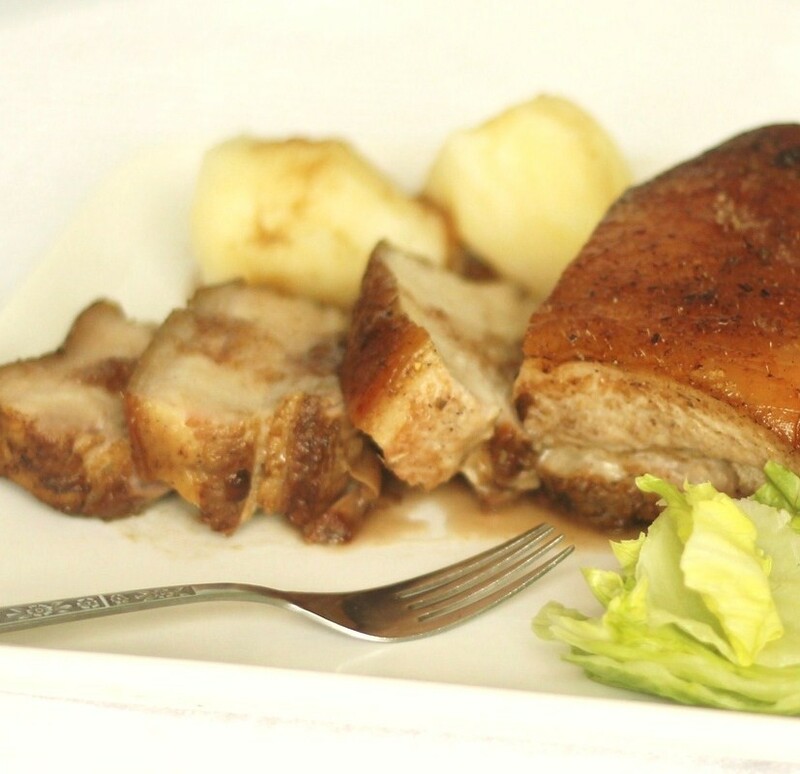 In Britain, and other parts of Europe, it's very common to serve Roast Pork with Applesauce. I have said many times, that pork belly is my favourite part of pork. I just find it to be the juiciest, tastiest, most succulent part of the pork. Pork Shoulder can't compare! 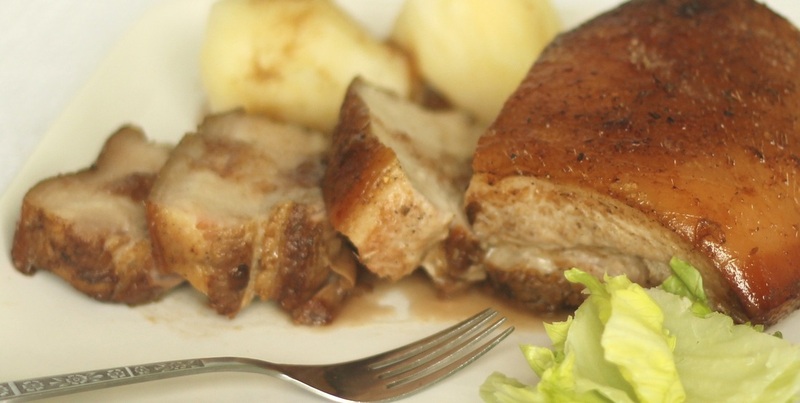 One of my favourite ways to serve pork is with Applesauce. Actually it's just about my favourite way. 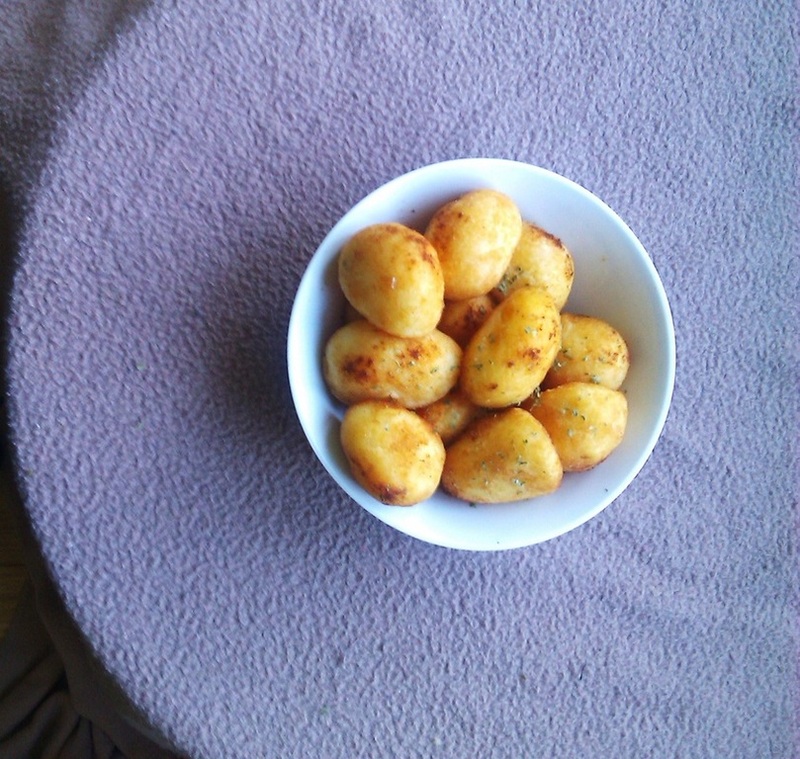 It's a British staple dish, but as I've said this is also popular in other parts of Europe. In England you would serve this with potatoes (usually roasted) and Yorkshire Puddings. 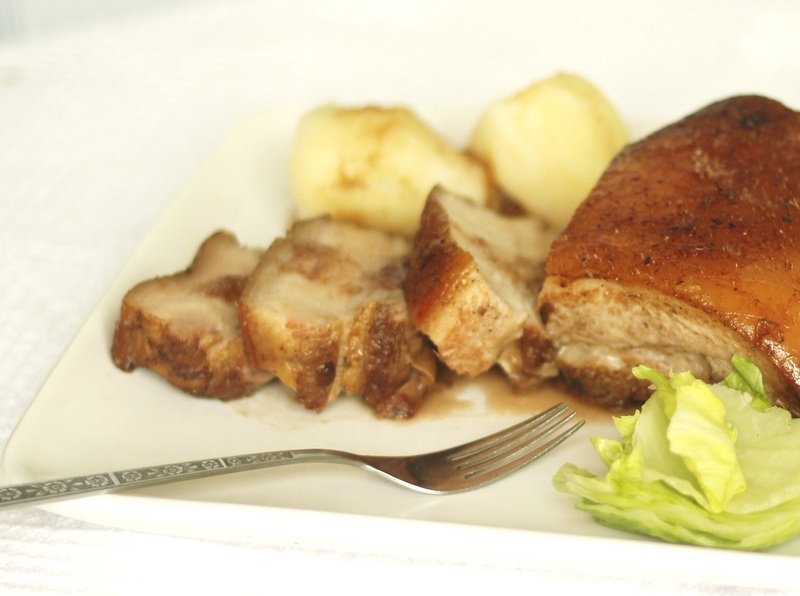 1 Loin of Pork Belly: Follow The Pork Adobo Recipe and add at least 2 tbs of Salt and 1 tbs of Juniper Berries. 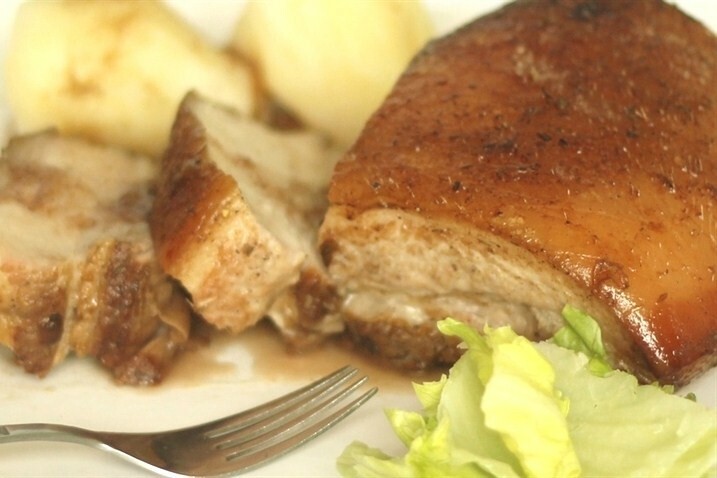 Marinate overnight after ensuring the pork is properly defrosted and thawed. I cooked the Pork at 145 C for approximately 1 hour and 15 minutes. This is a guideline only. For Further information See Simbooker Facts15. This is for stove top Apple Sauce: 10 Apples; a mixture of Granny Smith and at least 1 Red Apple, 2-3 tbs of Red Wine Vinegar, 1 tbs of fresh lemon juice, 2 tbs of butter, 1 tbs of Ground Cinnamon, 2 tbs of Ground All Spice, Sugar to taste either Granulated or Brown. I recommend at least half a cup of sugar. 5 cups of water (Approximate). Add the water to a pan, and turn stove to medium heat. Add the sliced apples to the pan and then the remaining ingredients, it doesn't matter what order the ingredients are added just make sure everything is added to the pan relatively quickly as it needs to cook down together. Once everything is added stir. You will need to keep stirring every so often as the apples cook down, and render their juices. This process takes about twenty to twenty five minutes. Feel free to adjust the heat during cooking, and seasonings and/or ingredients to your taste. Tell tell signs that it's cooked are the apples pieces shrink, and create a generous sauce, that is considerably thicker than water. Leave to cool and puree the sauce in a blender.